The USMTS invasion of the Ark-La-Tex Speedway in Vivian, La., happens this weekend for the 7th Annual Cajun Clash presented by Horseshoe Bossier City, and a format change has been announced for the three-day extravaganza which also features Factory Stocks and Limited Mods. Originally scheduled to be two days of qualifying with all of the main events and money riding on Saturday’s show, the event will now return to the same format as the previous six Cajun Clash events with three complete shows and three nights of stellar payouts. There will be a complete show of qualifying heat races and main events this Thursday, Friday and Saturday, April 11-13, for the USMTS Modifieds, Factory Stocks and Limited Mods. Thursday: Licensed – 1. $2500, 2. $1500, 3. $1000, 4. $800, 5. $700, 6. $600, 7. $550, 8. $500, 9. $450, 10. $400, 11. $375, 12. $350, 13. $325, 14. $300, 15. $275, other starters $250, non-qualifiers $90; Non-Licensed – 1. $2500, 2. $1200, 3. $800, 4. $600, 5. $500, 6. $400, 7. $350, 8. $300, 9. $275, 10. $250, 11. $225, other starters $200, non-qualifiers $75. Friday: Licensed – 1. $3000, 2. $1700, 3. $1100, 4. $800, 5. $700, 6. $650, 7. $600, 8. $550, 9. $500, 10. $450, 11. $425, 12. $400, 13. $375, 14. $350, 15. $325, other starters $300, non-qualifiers $90; Non-Licensed – 1. $3000, 2. $1500, 3. $1000, 4. $700, 5. $600, 6. $500, 7. $400, 8. $375, 9. $350, 10. $325, 11. $300, 12. $275, 13. $250, other starters $225, non-qualifiers $75. Saturday: Licensed – 1. $5000, 2. $3000, 3. $2000, 4. $1500, 5. $1000, 6. $800, 7. $700, 8. $600, 9. $550, 10. $500, 11. $475, 12. $450, 13. $425, other starters $400, non-qualifiers $100; Non-Licensed – 1. $5000, 2. $2500, 3. $1500, 4. $1100, 5. $700, 6. $600, 7. $500, 8. $450, 9. $400, 10. $350, 11. $300, 12. $275, other starters $250, non-qualifiers $75. Thursday: 1. $1000, 2. $700, 3. $500, 4. $400, 5. $300, 6. $250, 7. $200, 8. $175, 9. $150, 10. $125, 11. $120, 12. $115, 13. $110, 14. $105, other starters $100, non-qualifiers $40. Friday: 1. $1500, 2. $1000, 3. $700, 4. $600, 5. $500, 6. $400, 7. $300, 8. $250, 9. $225, 10. $200, 11. $175, 12. $150, 13. $140, 14. $135, 15. $130, 16. $125, other starters $120, non-qualifiers $50. Saturday: 1. $2500, 2. $1500, 3. $1000, 4. $800, 5. $700, 6. $600, 7. $500, 8. $450, 9. $400, 10. $350, 11. $300, 12. $250, 13. $225, 14. $200, 15. $175, 16. $170, 17. $165, 18. $160, 19. $155, other starters $150, non-qualifiers $75. For USMTS competitors, all three nights will now be full points shows for the USMTS National Championship and the Summit USMTS Southern Series powered by MSD. Racers who have already submitted an entry do not change. Mods that paid $200 will get charged the last day. New entries are at the normal USMTS rate of $100 in advance for licensed drivers or $110 for non-licensed with an entry fee of $125 for all drivers on race day at the gate. Drivers may get the advance rate now through the end of practice on Wednesday. For the Factory Stocks and Limited Mods, all three nights will award national points Summit USRA Weekly Racing Series, but competitors do not need to possess a USRA license to race. Racers who have already submitted an entry do not change. Factory Stocks and Limited Mods that paid $100 will get charged the last day. New entries are $50 each night at the gate. Transponders will not be required in either class. 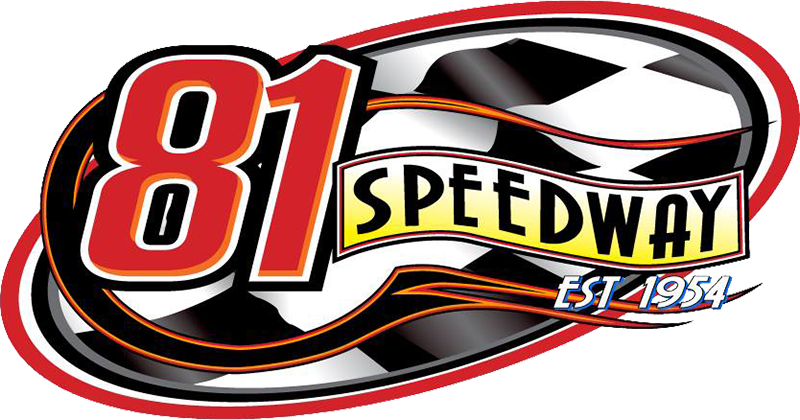 On Thursday and Friday, pits open at 2 p.m., grandstands open at 5, drivers meeting at 6:30 and racing at 7 p.m. On Saturday, pits open at 2 p.m., grandstands open at 4:30, drivers meeting at 5:30 and racing at 6 p.m. sharp. An open practice is slated for Wednesday, April 10, at Gene Boyter’s speed palace, which will likely be the only session for hot laps during the week. Gates open at 2 p.m., drivers meeting at 5:30 and practice from 6-9 p.m. Pit passes are $20. Admission to the grandstands is free. For those unable to attend in person, all of the action in all three classes will be brought to you live and in living color all three nights on the World Wide Web from the fine folks at RacinDirt.com.